White Inc. Bike It. - Lesotho Freeze doesn't dissapoint! 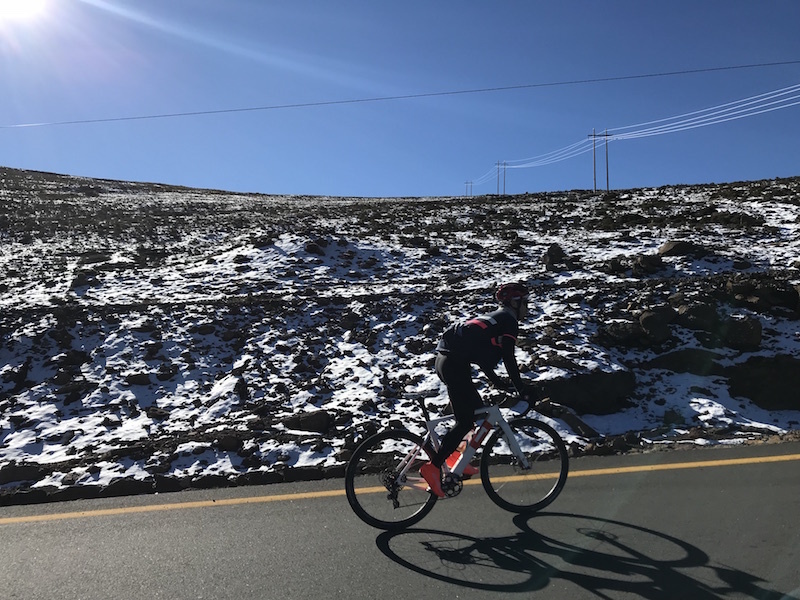 At the start of the winter season, White Inc. Bike It took a group through Lesotho to experience the heights of the landscape in extreme temperatures and with snowfall on the higher ground. 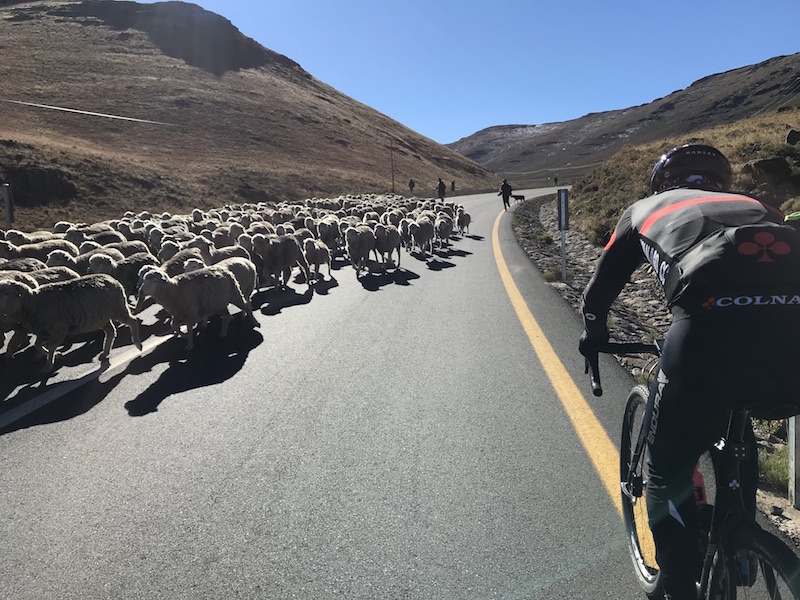 The Lesotho bike trips are a highlight in anyones cycling career. The mountainous country is an untapped oasis of adventure. 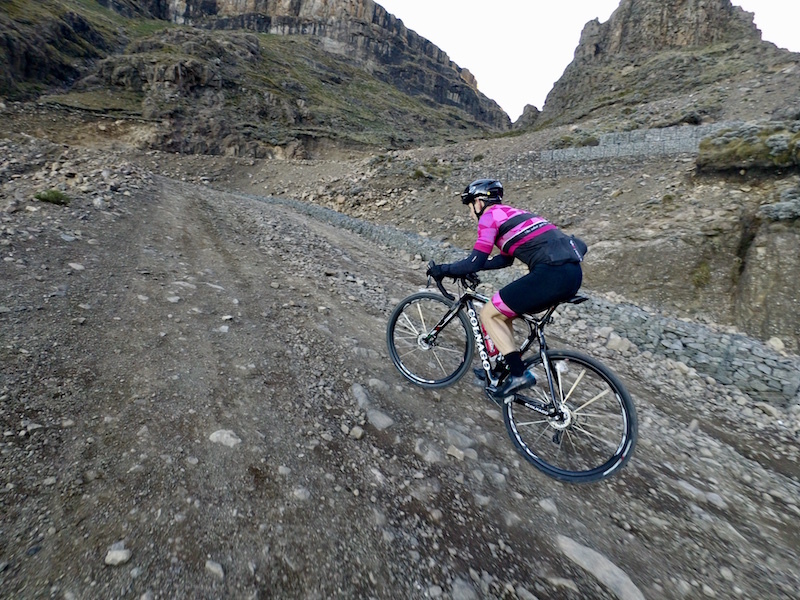 The high road through Lesotho offers a tough challenge to bikers, it has evolved over time. The three day bike trip encompasses a mixture of tar and gravel, and the changing landscape now offers mostly smooth tar roads, relatively low in traffic, and most spent on gradients or high altitudes. 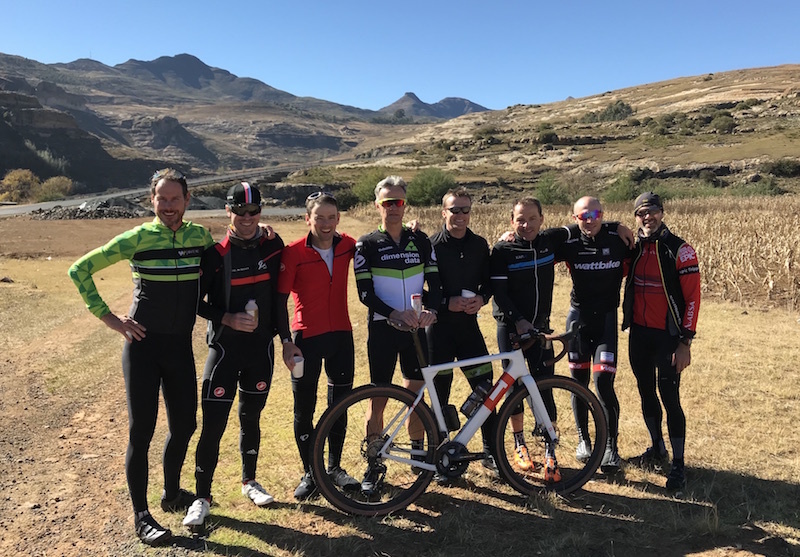 In June, we had a group of adventurous cyclists, mostly on the new craze of gravel bikes, traverse the high road through Lesotho. 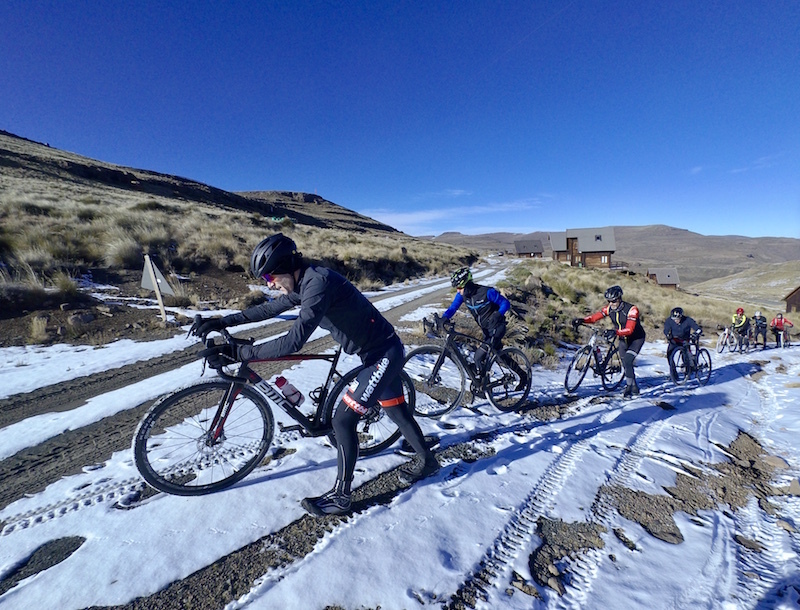 Beginning in the hamlet of Himeville at the base of the mightly Sani Pass, the gateway into Lesotho from Kwa-Zulu Natal, the riders faced a massive challenge of the ascent of the Sani Pass, on it's rough Gravel Surface. 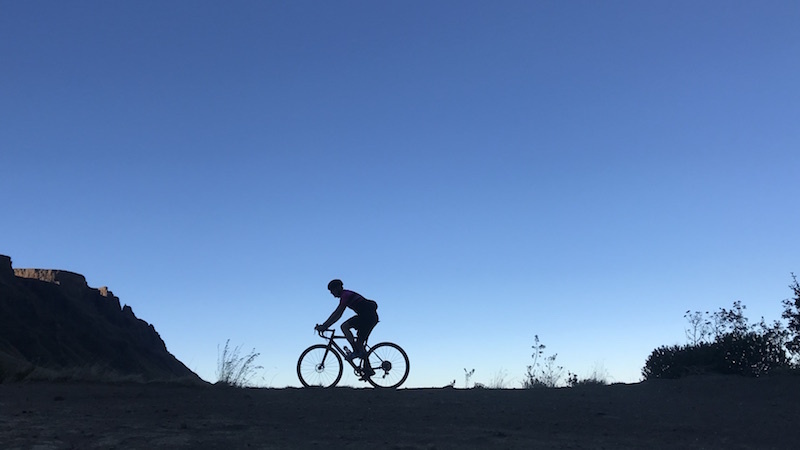 The experiment of gravel bikes with their gearing, for Sani Pass, was a relative success, although some adjustments were neccesary to allow riders to cope, only just. The Pass is iconic, it is a tough journey, lung busting and leg burning, but well worth the effort once you reach the top! Being winter, it is extra cold at the top, but an awesome lodge awaits after the border crossing, to warm up the soul, and seek shelter from the elements, sitting next to the coal fire and looking down the pass that has just been conquered! The second day is a massive day, on tar, and heads towards to Afriski. The ride is 135km long, and much time is spent around 3000m alititue, a difficult ride. The roads are super smooth with little traffic, and the climbs seem to go forever, but are unlike anything you can experince in Southern Africa! Riders passed snow and ice, and in perfect sunlight enjoyed a day of riding through the Mountains. The final 40km spent above 3000m is special, in the fading light, the air has a different hue to what is experinced back home. Snow lined wilderness and temperetaures plumeting unto the arrival into Afriski and the comforts of the chalets and great food and drink to replinish the stores. 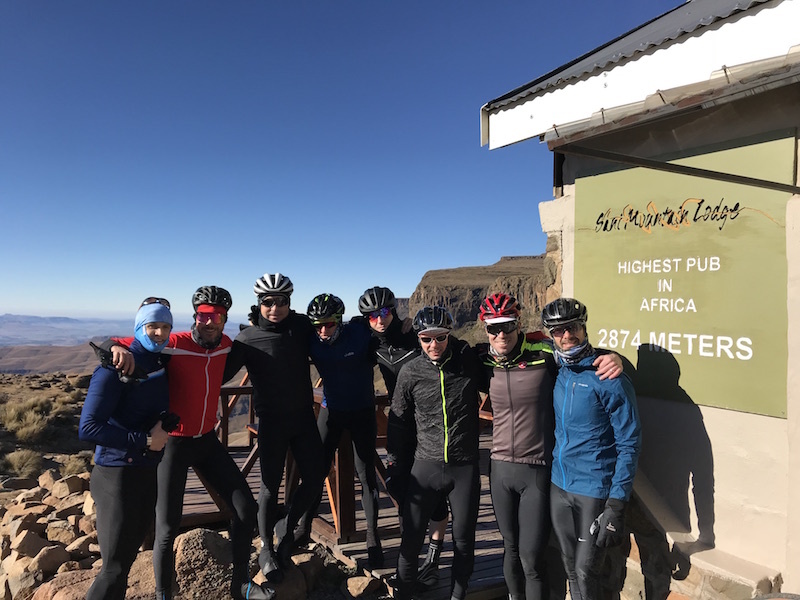 The final ride is one that offers more decending than climbing, but that said, the climbs will hurt the tired body, before the exhilartaion of the final descent of Moteng Pass! The flat roads in the valley leading to the SA Border crossing are not difficult, but the landscape is more polulated. A short hop up to Fouriesburg and a hearty lunch ends the trip! A three day crossing of the highest road through the Mountain Kingdom of Lesotho! Excitement as the road turns to gravel. 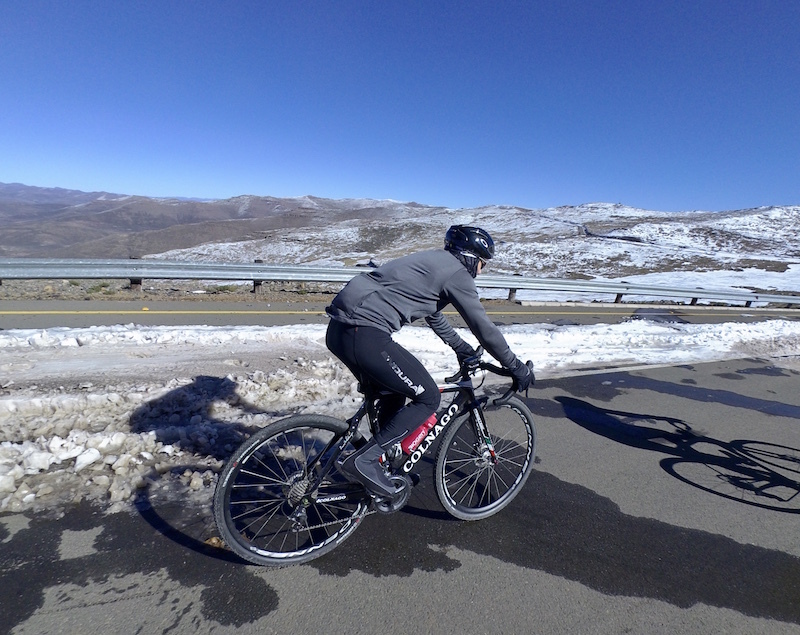 Soldiering up the final slopes of Sani Pass! The end in sight, final meters rolling into the Sani Top Lodge. The group of adventurers prior to the big day. Great tar roads, ice and snow all around. Perfect tar and local traffic. This climb lasted almost 15km, climbing from 2200m to over 3000m above sealevel. Near the top and into the snow line. 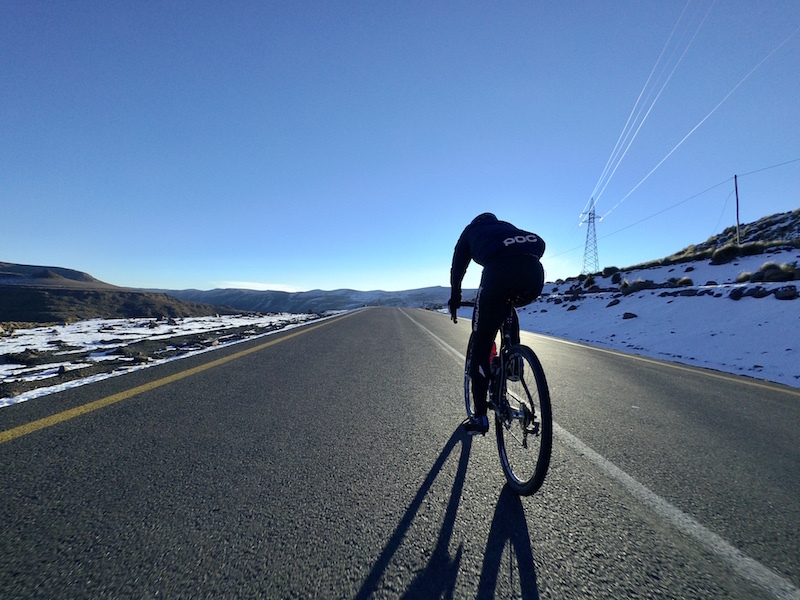 The fading light , riders nearing the resort of Afriski. The final day, and heading out to the slopes on the gravel roads, ice and snow all around. Back to the low lands, and it's a wrap! Well done troops! What a biking adventure!